Nelson-Studios.net :: View topic - Nelson Studios Firefox Theme! 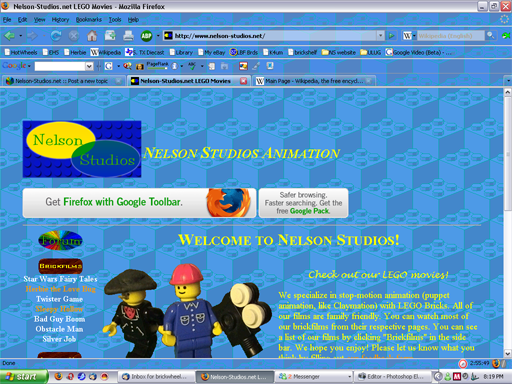 Nelson-Studios.net Forum Index » Website Feedback and Announcements » Nelson Studios Firefox Theme! K4 has made a very cool theme for Mozilla Firefox based on the Nelson-Studios.net theme. In Firefox, right click on the above link and click "Save Link As..."
Drag the NS_brick.jar file from Windows Explorer to the Themes section of the Add-ons window. It should be pretty self-explanatory from here on out! Hey K4 can you please make that scheme in red? Follow the instructions above to install.